As previously reported, Jon Hamm will reprise his role as Dr. Drew Baird on the February 11, Valentine's Day-themed episode of 30 Rock. But might he somehow not be the studliest stud on that week's installment?!? The episode will reunite Liz Lemon will several ex-boyfriends, including Hamm's Drew; Dean Winters' Dennis Duffy; Jason Sudeikis' Floyd... and Jon Bon Jovi's Jon Bon Jovi! Why do all these former flames pop up? Because "Liz is upset to learn Floyd is not only getting married, but is competing to get a free wedding on The Today Show," says star Tina Fey. 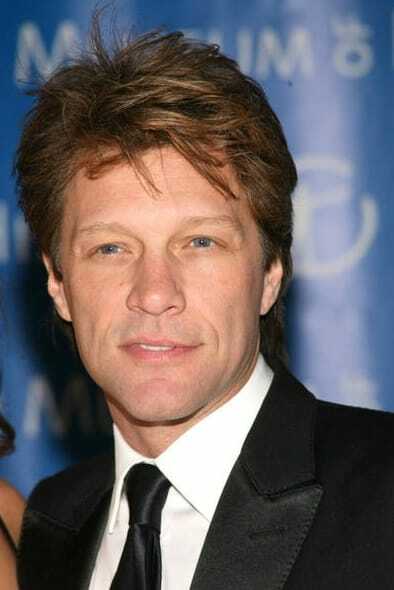 Why did Bon Jovi ever date Liz Lemon? That's harder to explain, but we can't wait to find out.